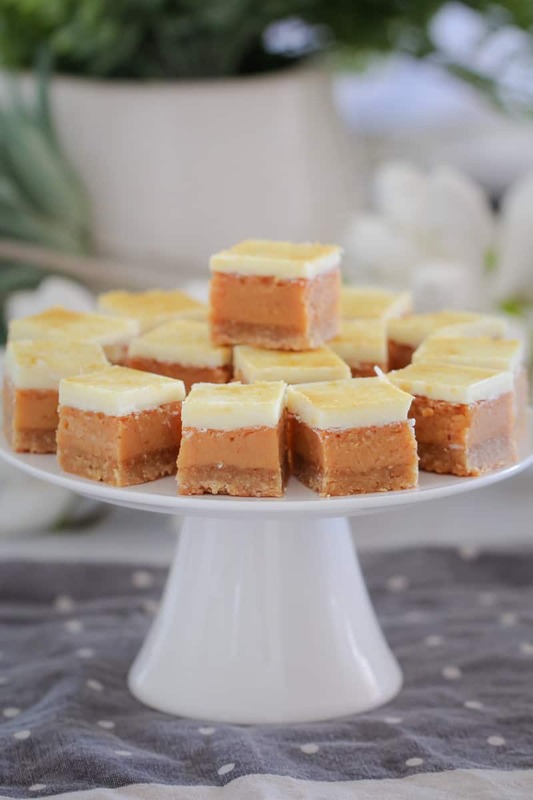 A classic favourite with a twist… this White Chocolate Caramel Slice is a yummy new take on a good old-fashioned caramel slice! 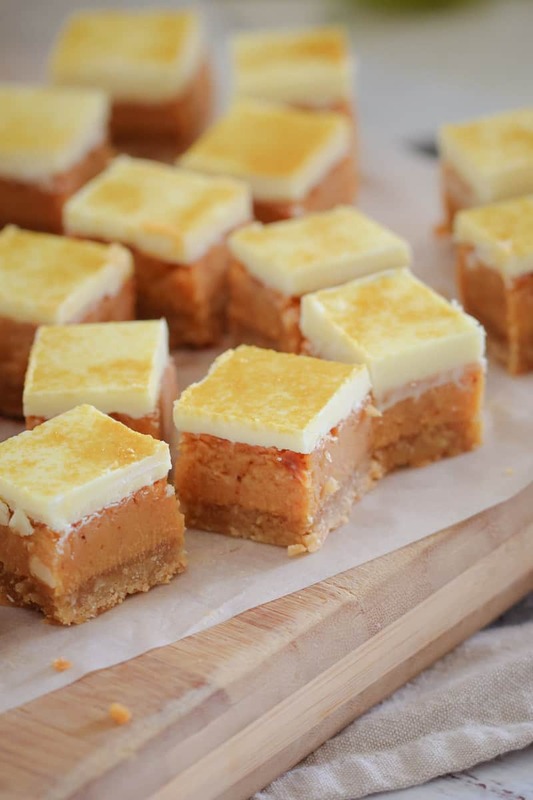 One of my very favourite recipes is my Classic Caramel Slice – it’s 3 layer of pure and utter yumminess. It’s very hard to beat! Butttt…. 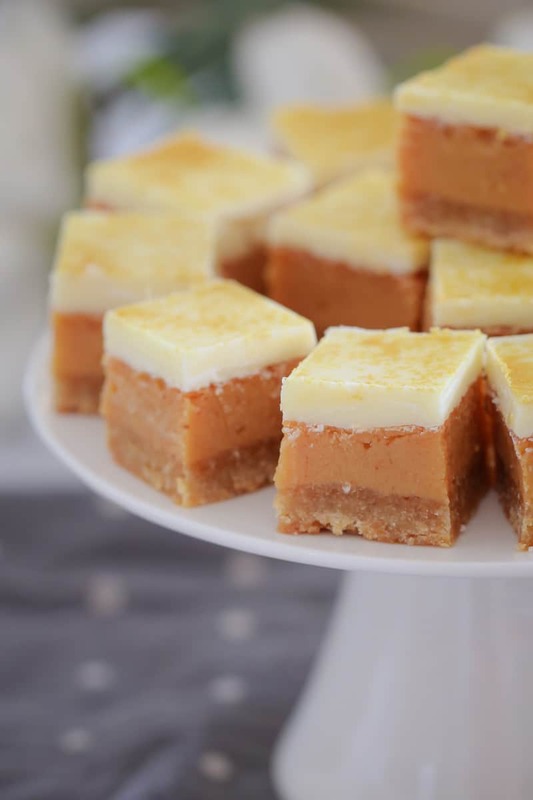 this White Chocolate Caramel Slice is most definitely on par! 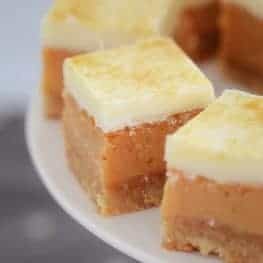 This little baby uses the exact same recipe as my original caramel slice, but with a white chocolate topping for a sweet little variation. It tastes just as good as the classic dark chocolate version (but I think this one looks even better!!). 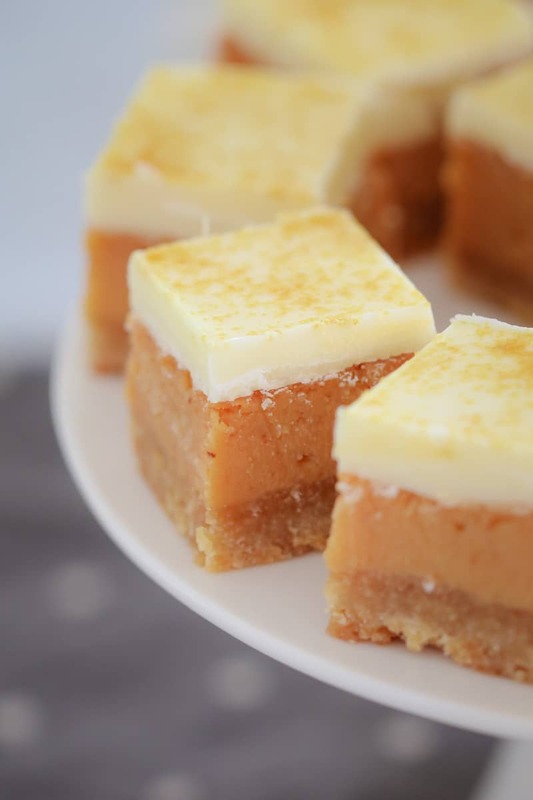 This White Chocolate Caramel Slice comes with both Thermomix and conventional methods (yay!!). 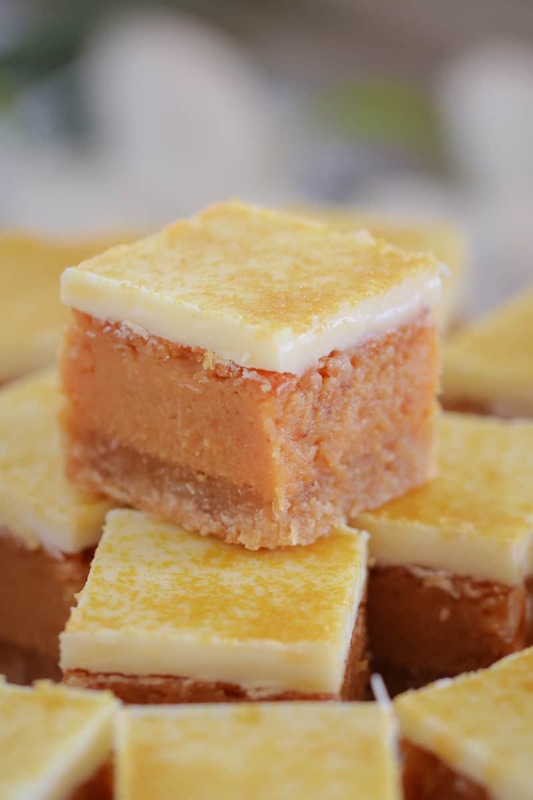 This really is the perfect slice for a special afternoon tea, fundraiser, fete… or just as a yummy mid-morning pick me up. It’s sweet, it’s delicious and it’s a guaranteed winner! 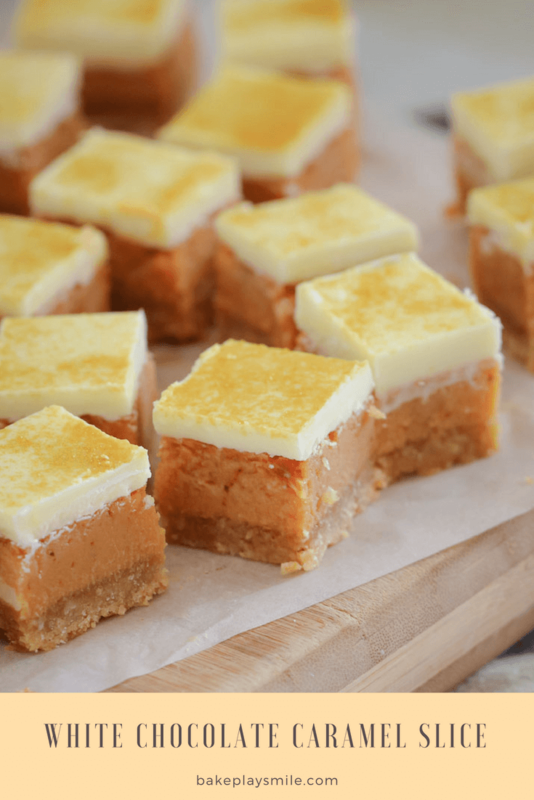 Hehe… did I mention that I like caramel slice a LOT!!?? 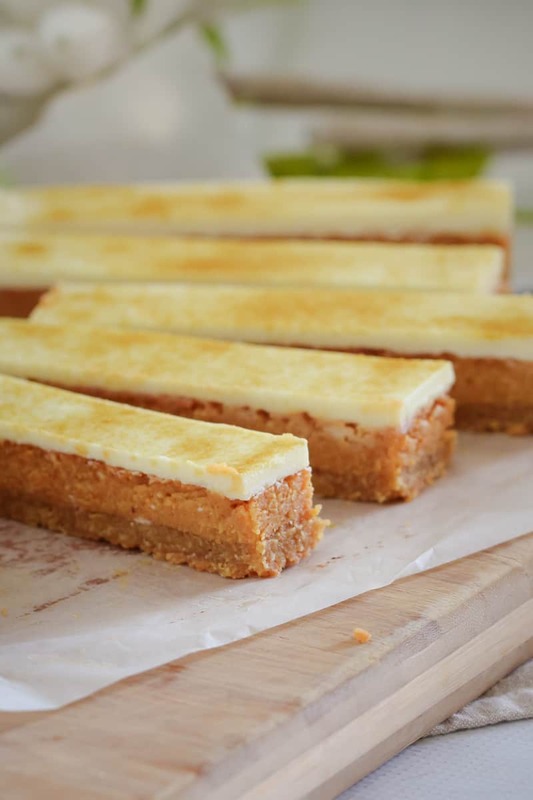 So there it is, a fun new take on a classic baked caramel slice (in fact, this one might just become your new favourite!!). PS. 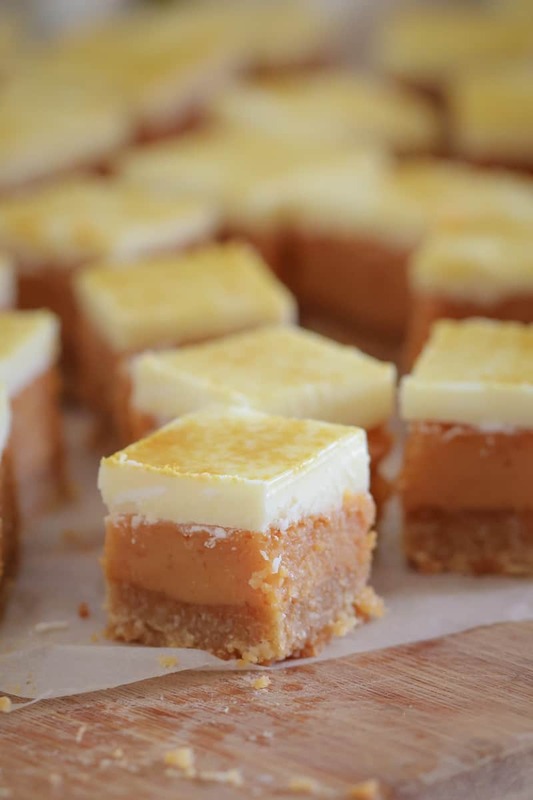 The little gold specks on the top of my white chocolate caramel slice are just edible gold shimmer from the baking section of the supermarket – it’s totally not necessary but does make it look super pretty!! 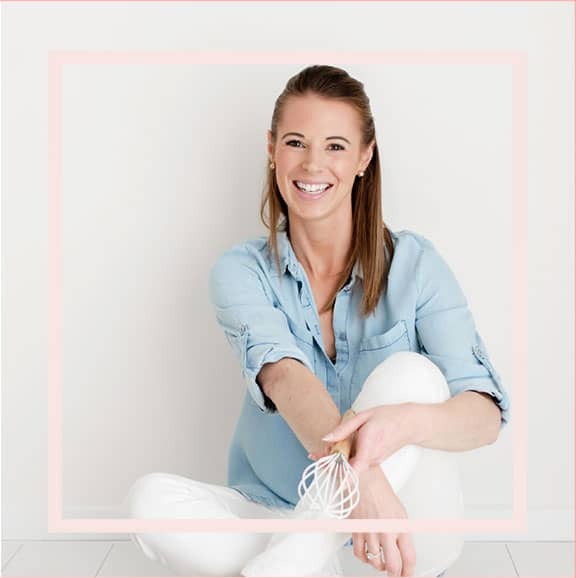 If you have a Thermomix and you love slices as much as I do (which is a LOT!!! 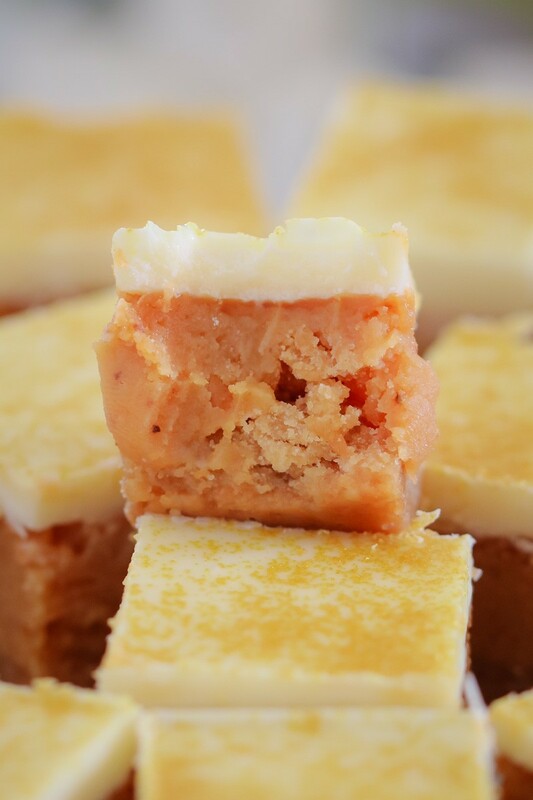 ), check out our Thermomix Slices Cookbook filled with over 30 baked and no-bake slice recipes. YUM! 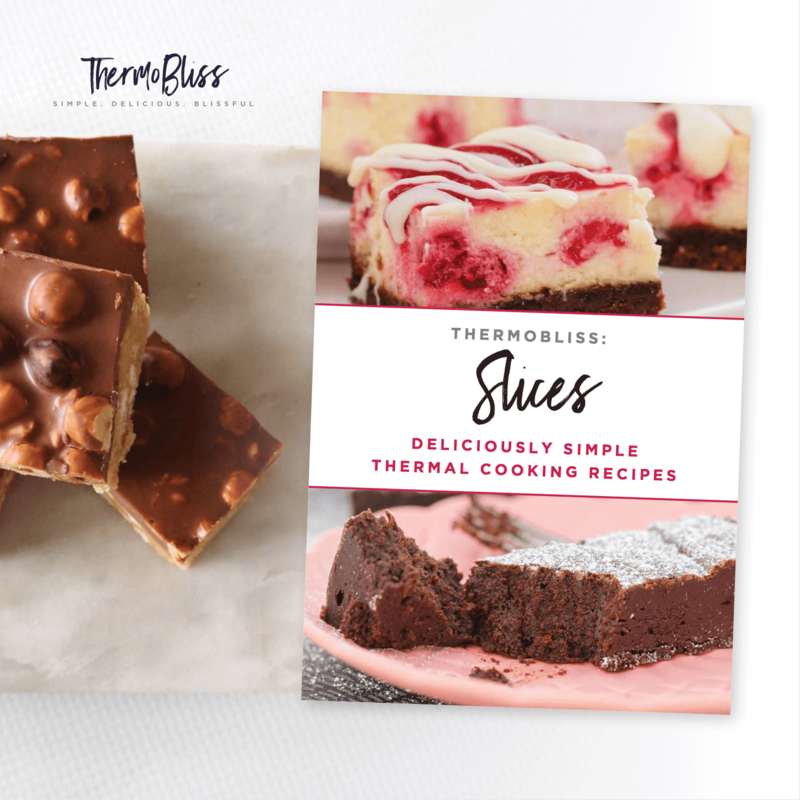 (And if you’re in AUS or NZ you’ll also get FREE SHIPPING, a free eBook version of the cookbook emailed to you immediately and a free copy of our Thermomix No-Bake Slices eBook… all for just $16.95. 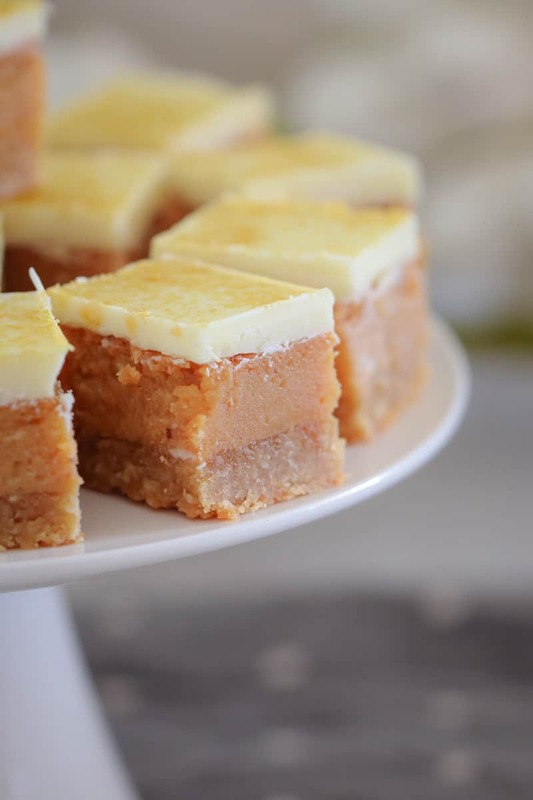 A classic favourite with a twist... this White Chocolate Caramel Slice is a yummy new take on a good old-fashioned caramel slice! Preheat oven to 180 degrees celsius (fan-forced). Line an 18X28cm rectangular slice tin with baking paper and set aside. To make the base, sift the plain flour into a bowl. Add the brown sugar and coconut and stir to combine. Add the melted butter and mix well until crumbly and completely combined. Press the mixture firmly into the base of the prepared tin and smooth with a spoon. To make the filing, place the golden syrup, condensed milk and butter into a small saucepan over low heat. Stir continuously for 10 minutes or until the caramel has thickened (make sure your heat is very low and you continue stirring until the sauce has obviously thickened). Pour the caramel over the cooked base and return to the oven for a further 15-20 minutes or until golden. Remove from the oven and set aside until cool. Melt the white chocolate and vegetable oil in the microwave on 50% power for 3-4 minutes, stirring every 30 seconds with a dry metal spoon. Pour the chocolate topping over the caramel layer. Cut into slices just before the chocolate topping sets completely. Melt the butter in the Thermomix bowl on Speed 2, 100 degrees, 3 minutes. Add the plain flour, brown sugar and coconut and mix on Reverse, Speed 4, 15 seconds. Scrape down the sides of the bowl and repeat for a further 15 seconds or until completely combined (use the spatula to help mix). To make the filing, place the golden syrup, condensed milk and butter into a clean and dry Thermomix bowl. Mix on 80 degrees, Speed 4, 8 minutes. Place the white chocolate melts into a clean Thermomix bowl. Grate on Speed 8 for 10 seconds. Scrape down the sides of the bowl, add the vegetable oil and melt on 60 degrees, Speed 2, 3-4 minutes (or until completely melted). Pour the chocolate topping over the cooled caramel layer.